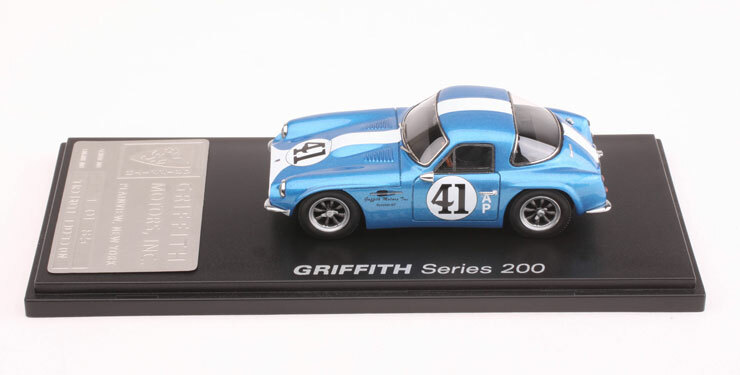 Automodello is producing 85 Griffith Series 200 race replicas in 1:43 scale for this year’s Ultimate Griffith Reunion to be held March 12th and 13th at Bill Warner’s Amelia Island Concours d’Elegance. 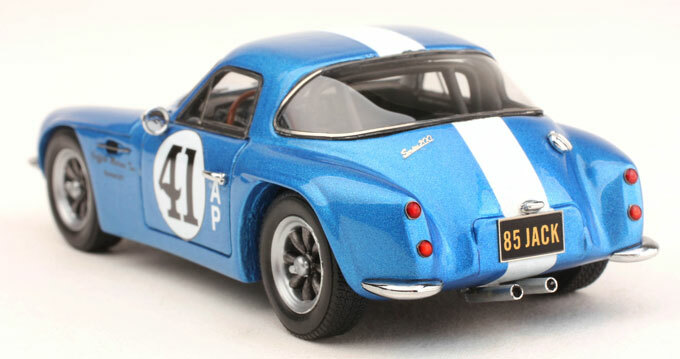 Sports Car Digest previously reviewed Automodello’s 1:43 scale street going Griffith 200 replica, and just when we thought that model couldn’t be outdone lands this metallic blue with white racing stripe beauty in full 1960s competition trim. The paint on this replica alone is enough to herald you back in time to the days when American V8s in small British sports cars were turning the world upside down, but the addition of the A-Production insignia on the doors as well as the roll bar inside the car really pull off the full effect. 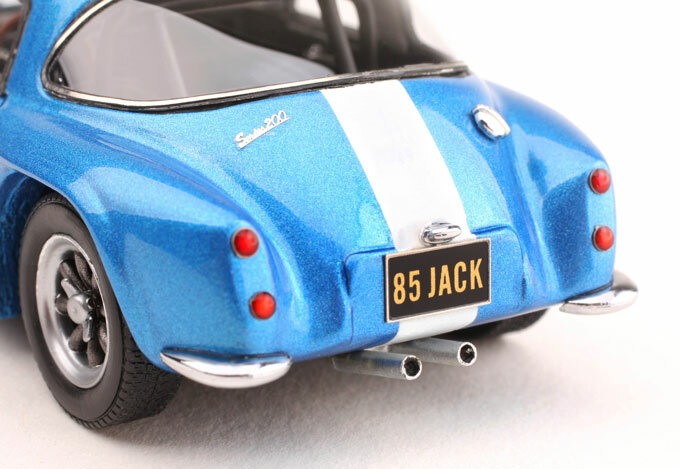 While all the detail is there, and then some, from the earlier street going Griffith replica; the Tribute Edition bears some historical significance in that it was prepared by Automodello to honor Jack Griffith’s 85th birthday, thus the car sports a license plate reading “85 JACK” and just 85 replicas will be produced. The replica will also honor the memory of Mark Donohue, who piloted a Cobra for Jack Griffith’s racing operations in the mid-1960s, achieving 13 wins in 15 races. 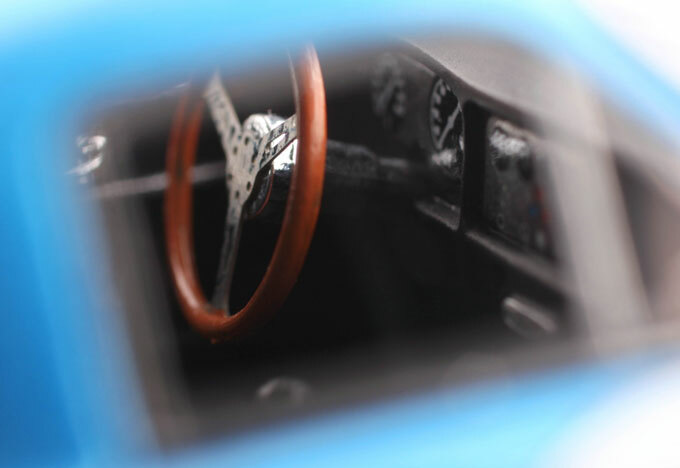 Automodello’s work is always executed to the highest detail, as the replica comes in a very nice box, in addition to a Lucite case complete with a plaque to signify the rarity of the replica. By the way, all 85 replicas have had their boxes signed by both, Jack Griffith, the man behind the Griffith marque; and Bill Warner, Chairman of the Amelia Island Concours d’Elegance. Of course this sort of exclusivity comes with a price, and the $235.00 sticker price may be difficult for some to handle. 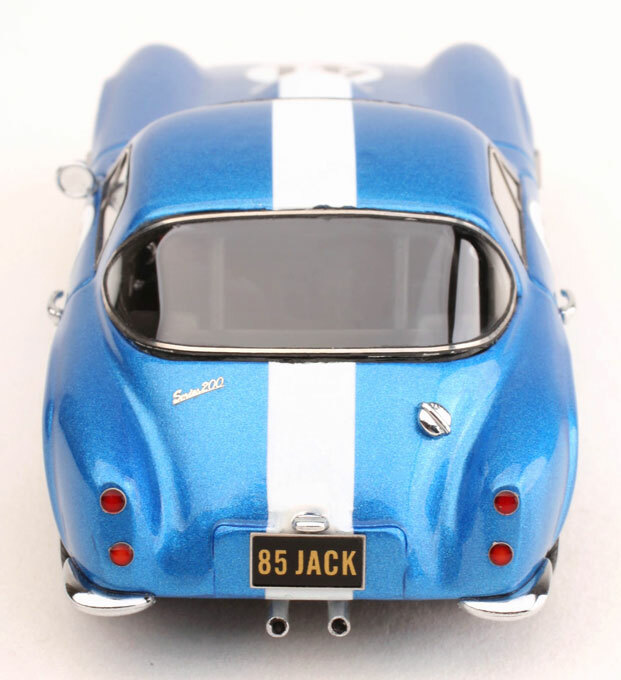 Then again, there weren’t many of the real Griffiths made to begin with, and seeing a scale replica of one is practically as scarce as spotting one of the real cars on the street, so that’s something to keep in mind in terms of the price and future value for this collectible scale car. For more information, visit www.automodello.com/griffithseries200.htm. Will: When is the 400 Series of the Griffith coming out. Some person say there were 195 or 200 Griffith 200 made. There were only 45 or 59 Griffith 400’s. Most of the super rich oil sheiks in the middle east have most of the 400’s in their car collections for if one doesn’t have a 400 his or her car collection is not up to par. By the way, Mark Donohue stated that after driving one of the first Griffith 200’s that it was much faster then the 289 Shelby Cobra! 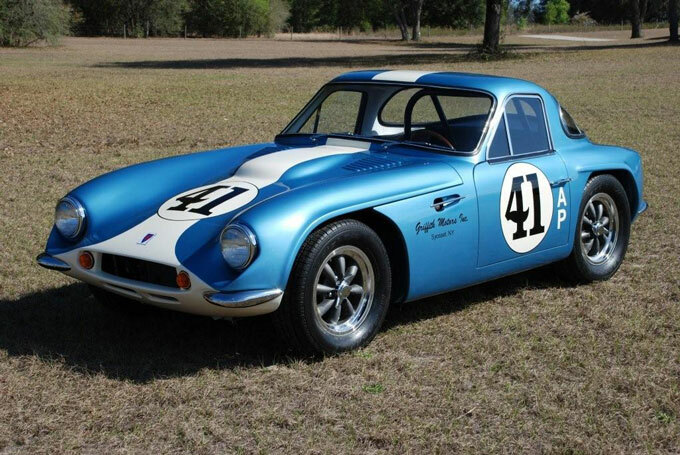 Have not found any film on the 1965, SCCA,races at Goleta, California where Tom Lynch in a Griffith 200 gave Ken Miles and Dave McDonald in their factory prepared Cobras a beating for seven laps and was pulling away when he blew a left rear tire. People were amazed at the speed and handeling of the Griffith as the Cobras and Porsche 904’s could not keep up with it, much less the big and powerful Corvettes. Automodello has produced the Griffith Series 200 and Series 600 to date and we have Jack Griffith’s exclusive endorsement to produce all of his cars for the foreseeable future. If you have further questions, please contact me directly at jamescowen@automodello.com or via the http://www.automodello.com website.